Engineered nanoparticles are used in a variety of consumer products like cosmetics, wall paints and even food products and tooth paste. The widespread use of engineered nanoparticles (ENPs) will lead to an emission of these contaminants to the aquatic environment, e.g. via urban and industrial waste waters. While the number of nanoparticle related applications is steadily increasing, the potential effects of ENPs on human health and the environment are still poorly understood. With a particle size below 100 nm, nanoparticles are in the same order of magnitude as biochemical macromolecules and therefore able to enter animal or plant cells and interact in biological processes. For this reason, there is a strong need of understanding nanoparticles behavior in the environment and effects to organisms and ecosystems. This study analyses the potential environmental risks of Titanium Dioxide ENPs by using Caenorhabditis elegans as an ecotoxicological model. 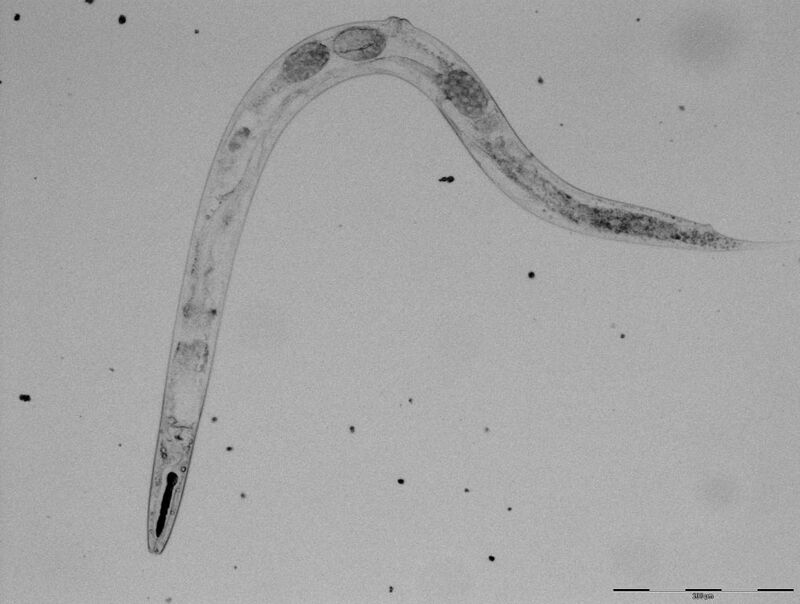 C.elegans is a soil living nematode that is used for ecotoxicological testing of sediment, water and soil samples. The focus of this study is the impact of light exposure on the ecotoxicity of the particles as well as the particles effects on co-contaminants. This study contributed to the “Sponsorship Programme for Testing of Manufactured Nanomaterials” of the OECD.